Remember that awesome music application we recommended a while ago, GrooveShark? 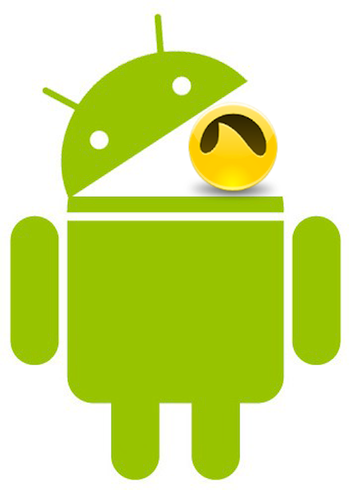 The company has issued a statement following Google’s decision to pull it from the Android Market. Google removed the app from its application market due to a request from the RIAA. GrooveShark stressed in the statement that it operates within the boundaries of the Digital Millennium Copyright Act of 1998. Is GrooveShark approaching its end? We hope not. Check out the statement after the jump. On April 6, 2011, Grooveshark learned the hard way what happens to companies that fail to respond to misleading press created by their detractors and competitors. Google removed our app from the Android Marketplace at approximately 5pm PST on Friday April 1st at the request of the RIAA. Google hasn’t specified what it was in their “Terms of Service” that we allegedly violated, but there does appear to be some confusion about whether Grooveshark is a legal service. So let’s set the record straight: there is nothing illegal about what Grooveshark offers to consumers. Yet some are confused as to how we are legal. First, there is a distinction between legal and licensed. Laws come from Congress. Licenses come from businesses. Grooveshark is completely legal because we comply with the laws passed by Congress, but we are not licensed by every label (yet). We are a technology company, and we operate within the boundaries of the Digital Millennium Copyright Act of 1998 (DMCA). Some would have you believe that those of us who use the DMCA to innovate are inherently infringers and that claiming Safe Harbor under the DMCA is as good as admitting guilt. Not so. The DMCA’s Safe Harbor component encourages technology companies to innovate in hopes that they will eventually solve some of the problems that are plaguing content producers today. The Safe Harbor provision reads like it was written specifically for YouTube and Grooveshark, and its necessity continues to be illustrated every day. If it weren’t for this notion, many of the products and services that are now taking a bite out of piracy would never have been born. With that said, Grooveshark doesn’t just rely on the protection of the law. We have worldwide licensing from over a thousand labels — large and small. We pay the three major U.S. performing rights organizations, as well as some international bodies, and are actively pursuing agreements with those that we don’t. We recently signed Merlin, which included the Merge catalog. This was a particularly happy day for us because it brought The Arcade Fire into the family. We pay for our streams, and we actively negotiate with virtually every single content owner. We’ve taken down over 1.76 million files and suspended upload privileges to 22,274 users. These are not the characteristics of a company “dedicated to copyright infringement”. As we work with artists and labels to make more content available to our users, Grooveshark becomes more competitive as an alternative to piracy. Content partners use Grooveshark to make targeted marketing spends, support tours and sales, and test singles and high-ticket merchandise with surveys and exclusive panels. The Grooveshark model puts us in a unique position as the only source for unadulterated consumption data from over twenty-five million unique monthly users in more than 150 countries. We are translated into 24 languages, which helps us monetize developing economies and deliver revenues to content owners from territories where extracting revenue formerly proved too difficult. Labels, managers, and artists that take advantage of our full gamut of services know how effectively Grooveshark’s application can streamline expenses and generate revenue. In light of the recent misleading press concerning Grooveshark’s application, it is important to make clear that we will defend our service, and the letter and the spirit of the law, in court and in Congress. We will defend our name and our ideals for the sake of our users who expect modern delivery systems and comprehensive access across devices, for the sake of artists and content owners who fear another decade of decline, and for other innovators who continue to bring new ideas to market through the expression of creativity in the form of technology. We ask that Google and Apple, embrace the spirit of competition and do right by users in making our applications available to consumers immediately. In light of being removed from the Android Market, GrooveShark has made the application available on its website. All you need to do is to go m.grooveshark.com on your Android phone. IPhone users are still out of luck when it comes to the GrooveShark application unless you jailbreak it. Apple pulled the app from the App Store back in August. I like the helpful information you supply to your articles. I will bookmark your weblog and test again right here regularly. I am slightly sure I’ll be told plenty of new stuff right here! Good luck for the next!